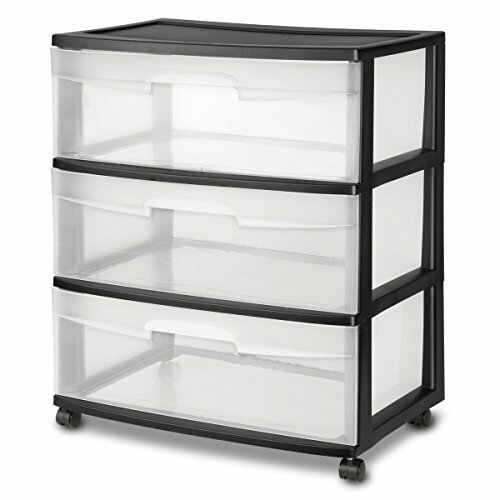 Get extra storage space wherever you need it with the Sterilite 3-Drawer Wide Cart. This sturdy cart features see-through drawers that let you see what's inside. It's perfect for use in the garage, utility room, or bedroom.